Lease Negotiations in a Down Market! In many areas around the country, the commercial property market is at its highest vacancy rate in years. What does this mean to brokers, tenants and owners of commercial real estate? For brokers, this means it is a great time to brush up on your tenant representation skills to insure that your clients are educated in the opportunities available to them. When vacancies are high, brokers can help yield greater savings to existing tenants by negotiating early lease renewals as well as relocations to alternate space at below market rates. Savings for new tenants in terms of discounted base rent; capped, controllable operating expenses; increased build-out allowances; free rent; tax breaks and other incentives can and should be attempted when negotiating with landlords who have excess space on their hands. Knowing the market is imperative, however, in order to help determine the extent to which landlords can offer some or all of these incentives. Knowing the differences among the buildings on the market is also important, such as which buildings are ready to move into immediately and which ones require major renovation. Since build-out costs have increased dramatically (due to soaring steel, cement, copper and other building material prices), landlords with virtual “move-in” buildings can better afford to provide lower rent or free rent to lure tenants to their properties. Finally, there is no substitute to brokers knowing their clients and their needs and goals, as well as they know the market. What do landlords need to do in this down market? First, they need to have a first class marketing plan to educate brokers and prospective tenants about their properties. Competitive edges and highlights should be …highlighted. If their buildings are well-managed, clean, well lit, secure, handicap accessible, and LEED compliant, for example, brochures and marketing materials should reflect these characteristics. Also, having floor plans on CAD helps tenant prospects and their space planners better envision the landlord’s subdivision plan and how the tenant’s plan can best be configured therein. Second, the more flexible landlords can be in subdividing their buildings, the lower their vacancy rates will be. Third, amenities are important to tenants with a lot of choices. Shared conference rooms, wifi, plenty of parking and cafés top many tenant wish lists. Finally, landlords need to focus more on their costs, and the value of a fully rented building, than “old market rent rates” that no longer are “market”. Landlords willing to restructure leases and/or offer incentives will fill vacancies, make it easier to refinance their properties, and make their buildings more attractive to investors still looking for good investment projects. Tenants today should strongly consider a good team of professionals to help them secure the incentives available today. A good broker specializing in tenant representation can uniquely combine expert market knowledge with a clear understanding of the tenant and its goals to help select the best space, and help negotiate the best deal for its client. A good real estate lawyer can insure the business deal is reflected in the lease language, and negotiate away un-budgeted for expenses and liabilities that are often hidden in form leases. A good space planner can help a tenant see what it really needs in terms of the size of the space, configuration, extent of build out … A good architect can help get the space plan priced out correctly and transform same into detailed plans. Finally, knowing the permit and build-out process and required timing (and incorporating same in the lease) will help ensure that the space need not be paid for until the tenant can operate. Landlords willing to be competitive, tenants willing to seek out experts to best help them secure opportunities, and brokers, lawyers and other real estate professionals that are good at listening to their clients goals and forging creative plans to bring them to fruition will find great success for 2009 and beyond, even in a “down market”! Great article! Tenants are becoming much more demanding in this market, may I also suggest the value of an architectural evaluation of any space prior to signing lease. There are many factors related to the building occupancy, path of travel and accessibility requirements that can greatly impact whether a building is truly suitable for a given tenant. 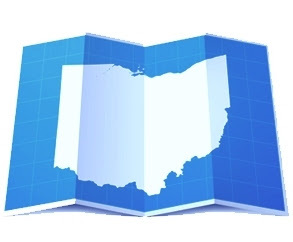 My firm does not service Ohio, but I have a complete article on this that would still be of value to prospective tenants in your area. Thanks for reviewing our Blog and for your comment. Thanks also for the link to your article. I absolutely agree with you and found your article forthcoming and informative.